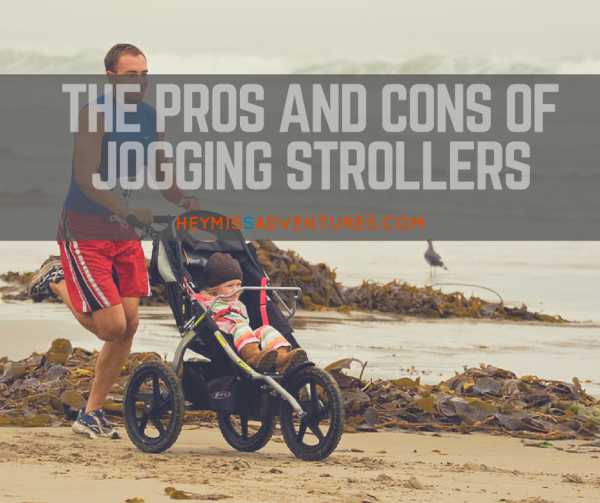 The Pros and Cons of Jogging Strollers | Hey, Miss Adventures! Getting back into shape can be a huge problem for many new moms. Most of the times, a parent’s priorities changes and finding the time and energy to reestablish exercise schedules and routines can be a huge challenge. Add that to the fact that you can’t really take out your baby when they are only a few weeks old. For many active new moms, this baby equipment is considered a heaven sent. Such type of stroller allows a parent to run or jog with the baby, allowing the small one to breathe some fresh air. Jogging strollers can indeed be beneficial for parents who are fond of running and jogging as it encourages them to stay active and healthy while still letting them enjoy some bonding time with their kid. Then again, not everyone finds jogging strollers to be an advantageous purchase. It helps lose the baby weight. It’s normal for many new moms to feel insecure with their bodies because it went through many changes during pregnancy. What’s the best way to get the confidence back? Run around and lose the baby weight! If running has always been part of your lifestyle before you became pregnant then this is the best way to bring both your baby and your hobby together. It allows you to go on more challenging trails. Not all strollers are made for taking off-road and bumpy paths. If you want to make sure that you and your baby stay safe while you take on more challenging trails, use a jogging stroller! Plus, it’s a treat when you explore together new places, particularly those that are surrounded by huge trees. It can be flexible. Some jogging strollers allow parents to use it for both jogging and walking. If you feel like you are going to get an equal number of both activities then using jogging strollers might be a more cost-effective choice instead of purchasing two models. It allows you to stay active. Since you already have a stroller that actually allows you to jog with your baby, there is no longer an excuse for not exercising. Now that will keep you motivated to stay active and healthy. It also allows you to train for the local race — if that is your thing. It is stylish. No one wants to look like the ‘exhausted’ mom. Stay hip and fresh while you take care of your baby. They are super expensive. Purchasing a jogging stroller requires a lot of thinking because it costs a lot. Price ranges are usually between $100 and $600, the more features (and bells and whistles), the more expensive it becomes. You need to make sure that you only go for the features that you truly need and sacrifice the ‘luxuries’ if you can’t afford it. Sure, there is always the option to go for used strollers but there is also a safety risk attached to it. You might not get to maximize its use. Going on a jog or run with your baby inside the stroller sounds like a great plan — but can you really keep up with such lifestyle? Can you really use it as much as you think you would? Remember that some strollers require the passenger to reach a certain age before allowed to ride. Can you really run or jog with a stroller — and with a kid in it? You have to make sure that the cost is worth it. They are huge and bulky. If you plan to use the jogging stroller as your main stroller, you have to consider its size. They are huge and bulky which will make navigating around malls and huge crowds a challenge. Can you take on that challenge? Your kid might not be a fan of it. Not all kids love being inside a stroller. I mean, who likes to be strapped in for long periods? Other reasons could be that your kid does not like the speed or experiences motion sickness. Whatever the case may be, you can’t really force them to enjoy it if they don’t like it. Jogging strollers are not cheap. Thus, you have to think long and hard if you can use it as much as possible or if it just going to be a one-time thing. Also, make sure that you shop around and weigh the features and limitation of each model. Go for the best and latest models in jogging strollers as they are already packed with many things that a running and jogging mom is looking for. You might also want to read a few tips for running with jogging strollers so you can create a wonderful experience for both you and your child. ParentsNeed.com is your online resource for anything and everything related to becoming a parent. Whether you are still enjoying your pregnancy, taking care of a baby, chasing a toddler or figuring out your growing kid, you can be sure there is someone who will make sure you go through every phase without a hitch. We have everything that parents need to know!